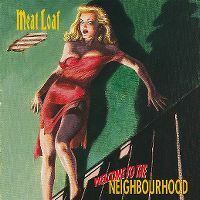 Typisch Meat Loaf, cooles Album. Gefällt mir heute viel besser als noch vor 10 Jahren. Tolle Songpalette! Gutes Album als Nachfolger von "Bat Out Of Hell II". Nur zwei Lieder sind hier von Steinman, doch das Album ist insgesamt stark an den Steinman-Stil angelehnt. It's strange that this didn't do at least a little bit better - it's not his best work but coming off the back of a massive album (and considering his enduring popularity even now), it's weird how badly this did! It's a decent effort, with some nice songs, I'd Lie For You is good, as is Where Angels Sing and Where The Rubber Meets The Road. It kind of wanes in the middle and has some random interlude type tracks that don't really fit but I didn't hate it all up, which is a good thing! 3.5/6. Un bon album avec les chansons phares que sont "I'd Lie For You" et "Original Sin" même si dans l'ensemble le résultat final est grandement inférieur à BOOH II. Ordentliches Album vom Herbst 95. Viel Rock, aber auch Kitsch plus Special guests. Hit-Highlight "I'd lie for you".